While some insurance adjusters are good people just trying to do their jobs, most use various techniques to intentionally stall your claim in the hopes that you will accept any settlement you are offered. Adjusters generally stall claims with the knowledge that delays in the claims process affect you much more than it does the insurance company, since you may need the settlement money for your financial livelihood. This is precisely the reason why you need to hire a Bergen accident attorney who can recognize the warning signs that you insurance adjuster might be deliberately trying to stall your claim. One such warning sign is if the adjustor rejects your claim because he or she cannot get the insured’s cooperation to complete the investigation. Although the insured party needs to cooperate to certain point for the insurance company to do a thorough investigation, chances are that the insurance company has sufficient facts to close the case and pay you. Another warning sign is if the adjuster asks for information from you in increments. Instead of asking for necessary information and documentation at once, the adjuster will ask for it a little at a time to delay your claim as long as possible. Another warning sign is if the insurance company continuously and intentionally changes your representative to the point where you are so aggravated and baffled as to who should be handling your claim that you accept any settlement you are offered. Lastly, and the most major warning sign you and your Bergen accident attorney should watch for is if the adjust tries to convince you to use your own insurance to pay your medical bills. In personal injury claims, the other party’s insurance is supposed to pay for your medical expenses. By nature of the claims process, the claimant is always more vulnerable than the insurance company. If you have been in an accident and suspect that you are being given the runaround by the insurance adjuster, you should hire a Bergen accident attorney to protect your legal rights. 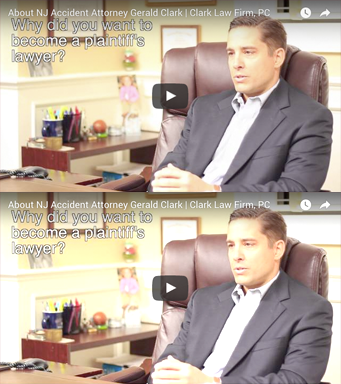 For a free consultation with a Bergen accident attorney, call one of the New Jersey personal injury attorneys at the Clark Law Firm, PC at (877) 841-8855.